Sheep shearing on a farm in the Scottish Borders July 26 2016. 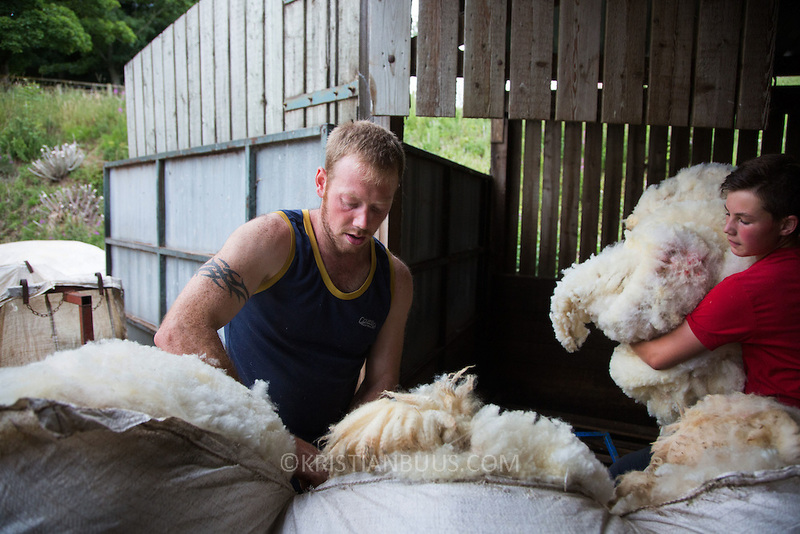 A team of two sheep shearers cut sheep owned by farmer Stewart Ranciman. The team plus helpers gets through 400 sheep in one day taking 1min 20 sec. per sheep. Ranciman's sheep live in the hills and only come into the farm to lamb and to get cut.